I mentioned Football Sunday in a blog a few weeks ago, but this is the week where everything comes together. It’s still not too late for your church to use some or all of the resources to make Super Bowl Sunday a day of outreach and spiritual growth. Even millions of people who aren’t football fans attend parties and gatherings every year on Super Bowl Sunday, which is the single biggest secular event of the year in the United States. Last year an estimated 103.4 million people watched the Eagles beat the Patriots. Sports Spectrum, an affiliate of the excellent ministry Pro Athletes Outreach, puts together a high quality Christ-centered program for Super Bowl Sunday. It’s both edifying and evangelistic and can be effectively used in church services, or in any home watching the game. You can show the whole thing or just choose one segment. One great idea is to use it as a positive alternative to the halftime show! Both adults and kids will listen to and be inspired by the testimonies of players. Watson, one of the NFL players I featured in my January 11 blog, will host the program. As previewed in the video above, NFL quarterbacks Kirk Cousins and Case Keenum, linebacker Damario Davis, and players from the Rams and Patriots will be in the video. I know Ben, Kirk, Case, and Demario, and in conversations and emails and texts concerning God and His Word, have found each of them to be true followers of Jesus. The Football Sunday video is still in production because it’s only been six days since anyone knew who would be playing in the Super Bowl! The final video will be released on Wednesday, January 30. You can sign up to be notified when it’s posted. I think it’s important to emphasize this is NOT fluff. We don’t need fluff in our churches. 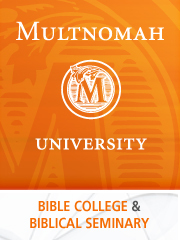 This is substantial Christ-centered content with testimonies of eternity-minded athletes. It’s not preachy, but it’s powerful. Over 20,000 people have professed a faith in Jesus as a result of showing the videos in churches. If you want to know for sure it’s worthwhile (and I commend you for that), watch last year’s 2018 Football Sunday event (27 minutes), hosted by beloved commentator James Brown. I think you’ll be blown away by the spiritual emphasis as well as the production quality. Football Sunday is a free event that can be used as a sermon or halftime show replacement. 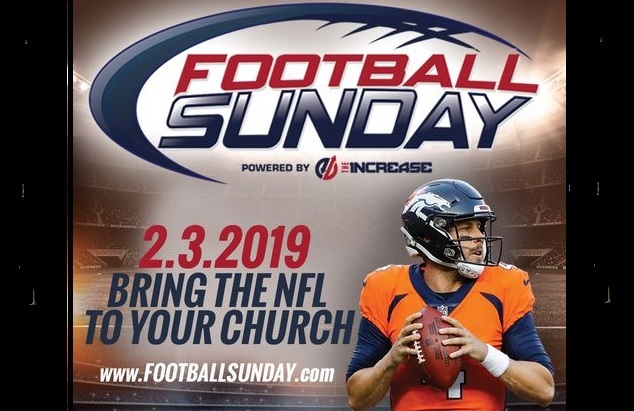 On Super Sunday 2019, players from the season’s championship teams as well as other pro-football players will share the love and truth of Jesus—in a way your attenders have never heard before. Football Sunday PosterYou can show the whole video as part your service, or select favorite segments to use as part of your service and message that day. If you’re reading this before your Sunday services, consider giving your pastors a heads-up. Forward them this blog. Encourage them to check out footballsunday.com. It may not be too late to ask your pastor to show that one-minute video and encourage people to invite friends and family to church on February 3. And don’t forget, even if your church doesn’t use the video, you can watch it, or parts of it, before the Super Bowl or at half time. It’s a great way to get the gospel out to friends and family. Paul says, “I have become all things to all people so that by all possible means I might save some. I do all this for the sake of the gospel, that I may share in its blessings” (1 Corinthians 9:22-23).